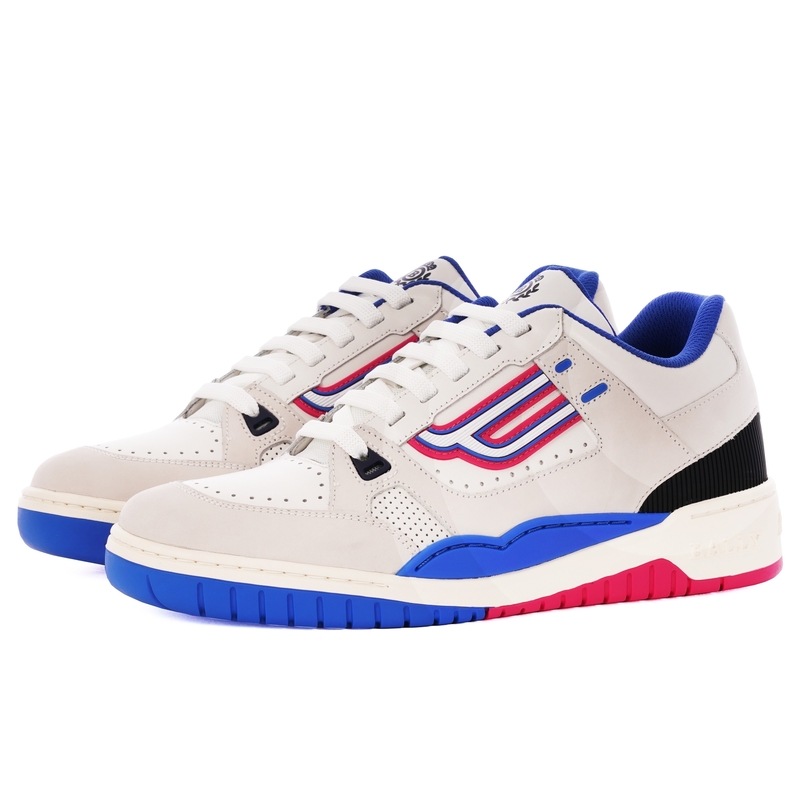 A re-issue from Bally's vast archives this White & Electric Blue iteration of the iconic 1991 Bally Champion replicates the iconic tennis shoe standing out with bold contrast detailing throughout. Boasting a premium quality make up the upper comes crafted from a calf leather which is offset by a mixture of leather and rubber overlays which give the silhouette a unique personality. Also boasting perforations to the toe box and at both sidewalls which enhances breathability logo detailing at both sides, heel and tongue give the upper a signature finish. Sitting upon an EVA midsole a multi-component rubber outsole borrowed from the original enhances traction whilst the inside comes with textile mesh lining which is rounded off with a suede heel counter optimising comfort.